I was impressed with Rick Warren’s Purpose Driven Church when it was published in 1995. In contrast his Purpose Driven Life book bored me when it appeared later so I put it aside although it seemed like everyone I knew was reading it. Last week’s newsletter indicated that I finally had read and learned from the revised version, titled What on Earth am I Here For? What follows are random highlights that could be helpful for ourselves and our work with students, coaching clients or others. Page 173 presents a key idea that challenges some of our long-held views of success: “Many Christians misinterpret Jesus’ promise of the ‘abundant life’ to mean good health, a comfortable lifestyle, constant happiness, full realization of their dreams,” plus, perhaps, professional acclaim, impressive resumes, influence, business success and affluence. Some believers assume that these often come through faith and prayer. That “self-absorbed perspective treats God as a genie who exists to serve us in the selfish pursuit of personal fulfillment [and success.] But life is not about you,” Warren writes. We exist for God’s purposes. Those purposes include serving others as best we can and focusing on relationships. Warren writes that “relationships must have priority above everything else…. How you treated other people, not your wealth or accomplishments, is the most enduring impact you can leave on earth.” I, Gary, believe that my legacy will not be about the talks I’ve given or the publications that have been written. My legacy will be the lives I’ve touched—especially those who are impacting others. Busyness is a great enemy of relationships. Thoreau wrote that people have lives of quiet desperation but today we more often live with aimless distraction, ”like gyroscopes, spinning around at a frantic pace, never going anywhere” (page 36). Sound familiar? Two powerful traps especially prevent us from being fulfilled, content, or able to know our life purpose. First is the envy trap that comes from making comparisons that leave us feeling cheated, angry, jealous, discontented and doubting that God knows what’s best for us. Second trap is the people-pleasing addiction. Whatever the reasons, when we constantly try to please others, they set our agendas and we miss God’s ultimate purpose for our lives. There’s a lot here. Please comment—even if you don’t feel you have anything useful to share. Carefully choose your niche. A niche identifies the individuals or groups with whom you work most effectively and passionately. Your niche sets you apart from others and makes you the preferred “go to” person for a specific group or segment of society. Selecting and building a niche takes time and should build on careful research. Find people who might be in your potential niche. Spend time with them. Find what they need and want. Determine why you are the best provider for your niche. Many coaches fail because they choose poorly or don’t connect with their niche group and the group’s real needs. Don’t assume that marketing is enough. The author includes helpful marketing principles, starting with the “three primary forms of marketing:” public speaking, writing, and networking. But marketing only attracts potential buyers of your services. Equally important is converting prospects to clients or buyers. Marketing does little if you don’t enroll interested people into signing on for your services. Get coach training. Steele is a trained therapist who built a successful private practice. 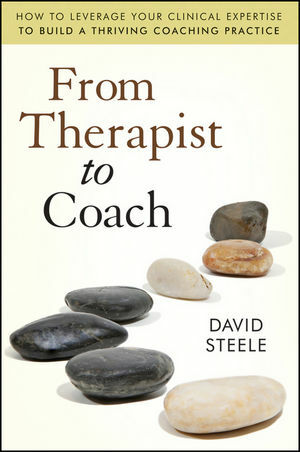 Even so, he argues persuasively that experience or training in therapy or any other occupation does not qualify one to be a coach. If you want to be a competent coach, consider reading this argument in support of quality training. Does this sound too much like turning coaching and other forms of people building into a cold business venture? Maybe so, but few coaches (especially private practice coaches or counselors) become successful if they overlook business principles. Please comment with your perspective. Newsletter #423 – What Are Your Life Stories? Many books interest me but few motivate me to take action. Recently I discovered such a book, Jim Loehr’s The Power of Story. Loehr is a sports psychologist who helps Olympic athletes and corporate executives improve their performance, productivity and profitability. He argues that each of us lives in accordance with values, attitudes, self-talk and actions that shape the story of our lives. In the end everybody sees the story that we created. If we continue on the same path as we are on now, what will be the story of our lives that we leave behind? Drawing on research and on years of working with clients, Loehr encourages readers to look at their past and current “old stories.” His book shows how to identify and write the story that is shaping us every day. Then he shifts to the new stories that we want to live out from this point on. What goals do we want to reach? What values do we want to be part of who we are? How do we turn our desired story into action? When I read a book with fill-in-the-blanks sections I usually skip them and move on. In contrast I completed the (relatively few) exercises in Loehr’s book. In the end I had a clear, written picture of how I had been living out the old story influences, beliefs and attitudes that had been shaping my life. Then I wrote a new story that gives me a blueprint for living a better life in the future. Leohr refers to spirituality and spiritual energy but nothing is said about Jesus. The book never acknowledges the role of God in our lives or in the changes that we (and he) might want to make. What is God’s story for our lives? That is a critically important missing piece in Loehr’s book. But could this story concept be key to how we coach, lead others or manage our own lives? What story are you or your associates living? How can your life story be changed starting now? 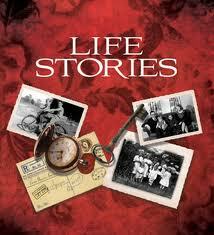 Please comment on your experience with changing life stories in yourself or in others. Shortly after it appeared in 2003 I read Donald Miller’s Blue Like Jazz: Nonreligious Thoughts on Christian Spirituality. I connected with Miller’s hang loose, down-to-earth, sometimes unorthodox writing style and ways of sharing about Jesus and spirituality. I gave copies to my friends and did the same when Miller wrote A Million Miles in a Thousand Years. That book is about looking at our lives where they are now and living out a new, better, life story from this point forward. I had not read Miller’s book on growing up without a father until this month when the original (2006) book appeared with a new title, Father Fiction: Chapters for a Fatherless Generation. We all know people who lost their fathers early in life or whose fathers abandoned their families and left their kids to navigate life without a father’s guidance or example. Other fathers never left home but disappeared into their careers so the families were psychologically abandoned. Miller is “raw and candid” as he writes about these topics, moving “from self-pity and brokenness to hope and strength, highlighting a path for millions who are floundering in an age without positive male role models.” How many counselees, coaching clients, or colleagues struggle with father loss and could benefit from discussion of this topic? Now I’m giving copies of Father Fiction to people like these without dads. Father loss is a relevant issue with wide counseling, ministry and leadership implications. Even President Obama (who grew up without a father) has highlighted the impact of father loss. People building is about walking with people, including those without fathers, who sometimes walk alone or could use fresh perspectives from others who are further along on their life journeys. We can learn from from Donald Miller, including his ability to tell stories and connect with his audience. With a greater personal and spiritual maturity than we saw in earlier books, Miller writes a lively discourse that can benefit us personally and as people builders. How have you dealt with father loss, personally or in working with others? Please click below on write comment and let us know.